NEWS – So for those of us that are fans of the Apple tablets, purchasing the iPad or iPad Pro tablet is a serious investment. Apart from paying a premium for the device in the configuration that we choose, we also tend to invest quite a bit of money on accessories, including things like a protective case and a functional physical keyboard. 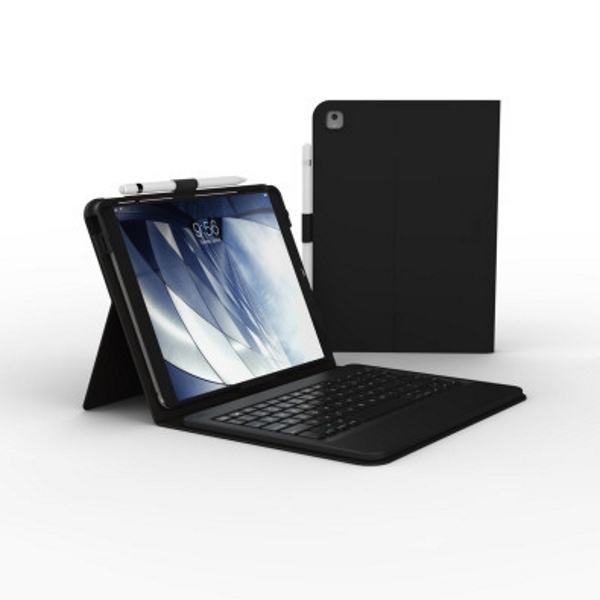 Once again, ZAGG has responded to the needs of their customers, and they have announced the Messenger Folio which is a case and Bluetooth keyboard combination made specifically for the Apple 10.5-inch iPad Pro. This keyboard/case combination is lightweight, and turns the tablet into a portable workstation, much like a laptop. It features a magnetic closure, Bluetooth technology for connectivity, and a built-in battery that lasts up to 3 months between charges. There is also a built-in holder for the Apple Pencil. You can purchase the ZAGG Messenger Folio is at ZAGG.com and Target locations nationwide for $59.99. The post The ZAGG Messenger Folio adds functionality and versatility to your Apple 10.5-inch iPad Pro appeared first on The Gadgeteer. The ZAGG Messenger Folio adds functionality and versatility to your Apple 10.5-inch iPad Pro originally appeared on The Gadgeteer on July 3, 2018 at 12:00 pm.